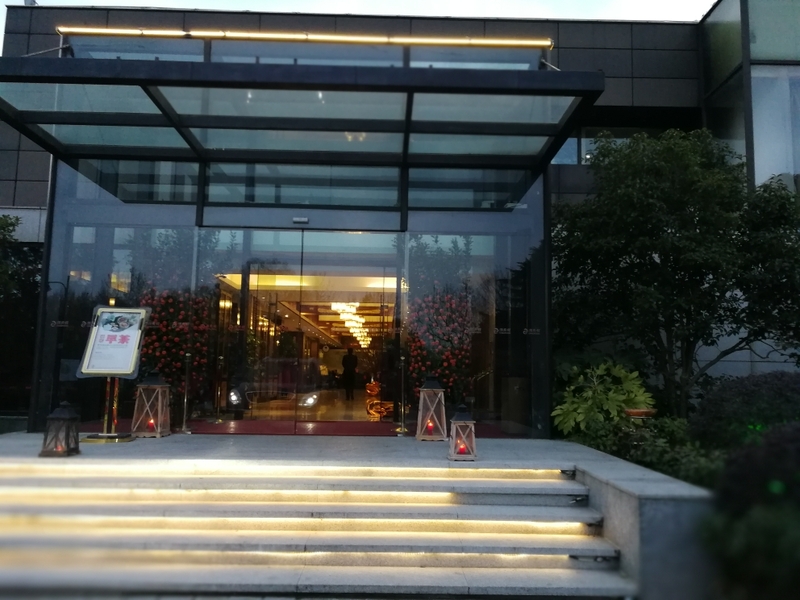 Chao Fu Guan is an upscale cantonese restaurant right at the entrance of Century Park overlooking a beautiful wooded area next to a small river. Of course we didn’t go for the scenery. 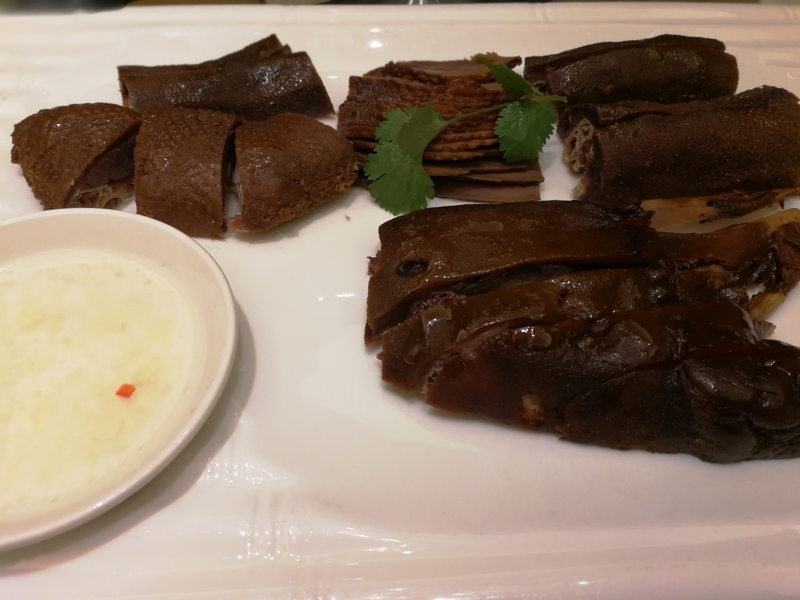 It’s claim to fame in Shanghai (at least among locals) is its old marinated goose head, which diners can enjoy half of one to the tune of 580 RMB. Yep, 580RMB for 1/2 a goose head. How was it? Read on to find out! Egg with Caviar- After the goose head, I choose a (slightly) more down to earth dish. 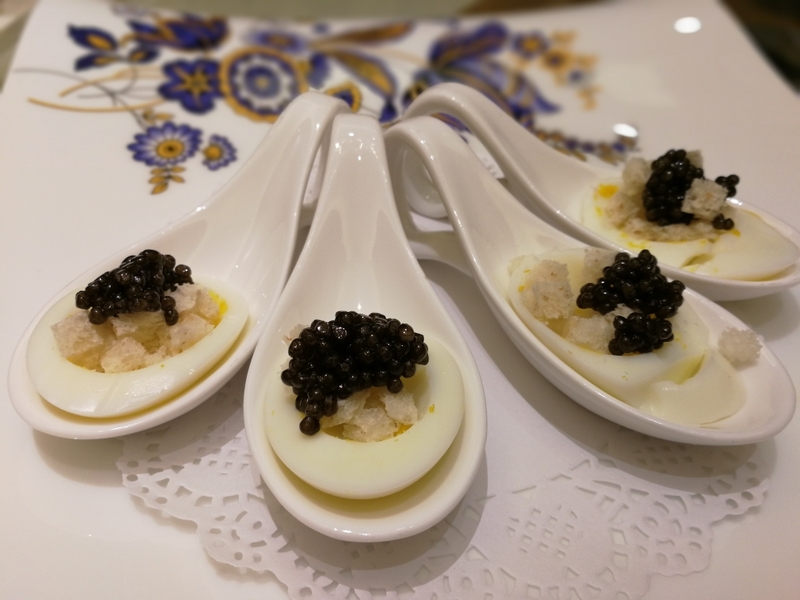 Each egg actually had a fair amount of caviar, which added luxury and a delightful briny richness. My only complaint is that they removed the yolk and replaced it with strangely sweet breadcrumbs. Radish and Greens casserole- Normally, I don’t mention veggie dishes, but this one stood out. 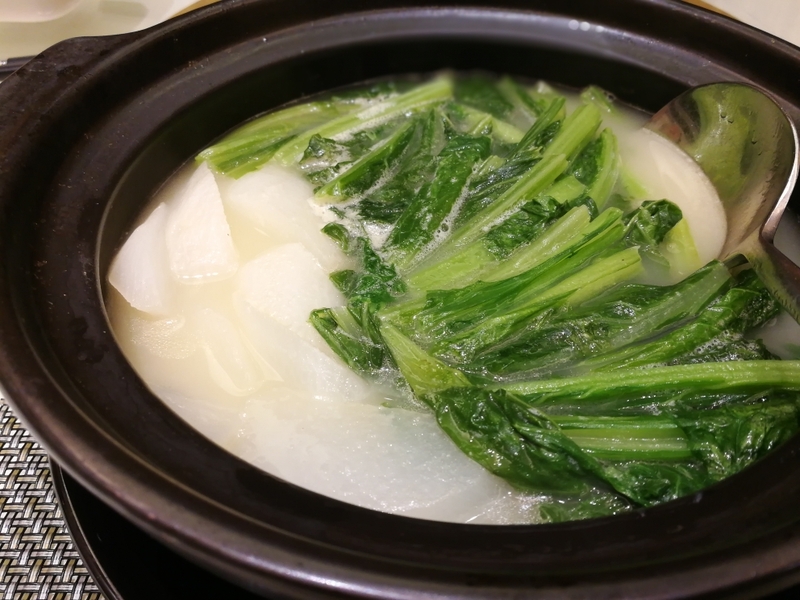 First, the broth was amazingly umami and the flavor actually penetrated the radish. Also, more importantly, the greens developed an incredible fragrance and taste resembling fermented tofu. Given that we spent the last week pigging out on oily, salty meats, this dish was the perfect break. 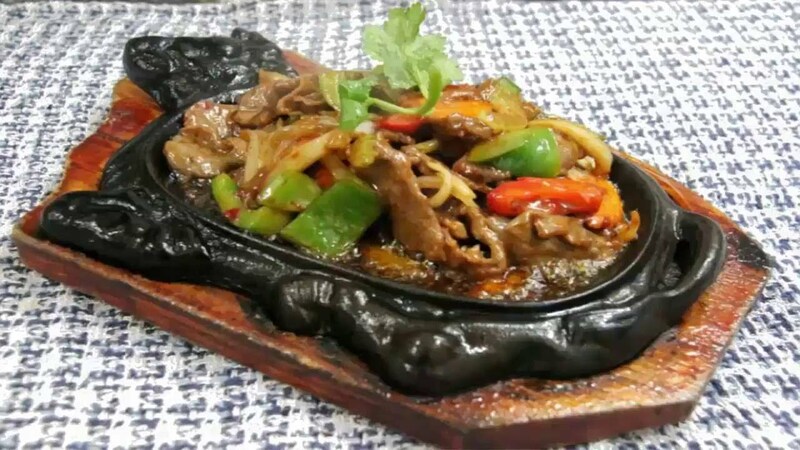 Sizzling Beef Short Ribs- This is another dish I typically avoid, but my dad needed meat. As expected, it was mediocre. The dish cost 138 rmb but tasted no different from the cheap version offered at sketchy roadside restaurants. 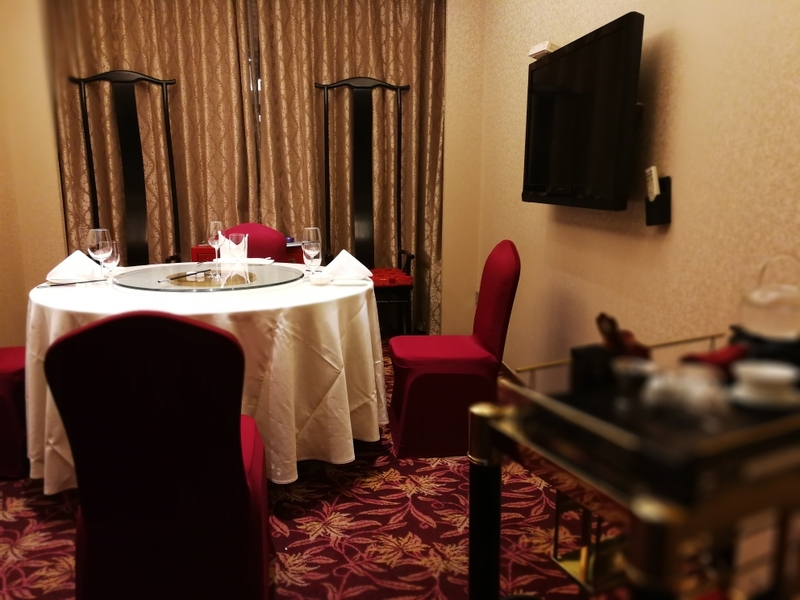 For bigger celebrations, the first floor has a gala hall and private rooms go up to 15 people.